Execute the following statements as well. The next step is to create a JDBC connection to the datasources that hold your data. 2. Click on the Admin link on the top right corner and login using your weblogic credentials. Note the // before //spatial_db in jdbc_sid and ! before ="!spatial_db_poc". 5. Click on Save and Restart mapviewer button. After you restart mapviewer, the value of jdbc_password will get encoded automatically. We can use either of the following to connect to spatial_db_poc user. Index creation is required for the FOI layer to appear on the base map. If this is not done then we will get ORA-13226: interface not supported without a spatial index error in mapviewer log file. select * from SDO_COORD_REF_SYS where srid = 8307. Map Builder is a jar file that gives us the environment to create styles, themes and maps. 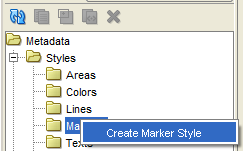 Styles, themes and maps created by map builder are basically XML definitions and these definitions are stored in the database. These definitions can be queried from all_sdo_styles, all_sdo_themes and all_sdo_maps views. The definitions of map tiles can be queried from user_sdo_cached_maps. We will talk about map tiles in a while. For now, let’s just say that map tile layer is built on top of map, themes make up a map and styles make up a theme. In this article, instead of creating a map in mapbuilder using themes, we will get the map from google. Themes can also be used to create FOI (Features of Interest) layer and we will create an FOI layer in this article. Let us now create our themes and styles. Select the marker which you created a little while back. Marker will be displayed on the map. Open CITY_THEME now and add a info column by clicking on the pencil icon highlighted below. Note that we can also code links in the info column values. Put '<a href="http://www.google.com">'||CITY_NAME||'</a>' in the column text box and give a label to this link in the adjoining text box. Info columns appear when we move our mouse pointer on top of any of the values in the map. '<a href="http://www.google.com">'||CITY_NAME||'</a>' helps us put a link on the values of the info columns. 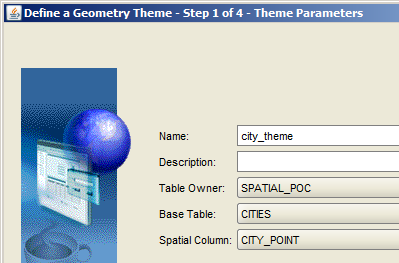 CITY_NAME is one of the columns of the CITIES table on top of which we have made our CITY_THEME. I have put a link to google.com but then you can code any link and can also use the columns of the table that hold spatial data to create a link. 2. Click on Services and turn on Google Maps API v3 as shown below. 3. Click on API Access and click on Generate new key... to get your key. Let us now create a Google map tile layer using this key. 2. 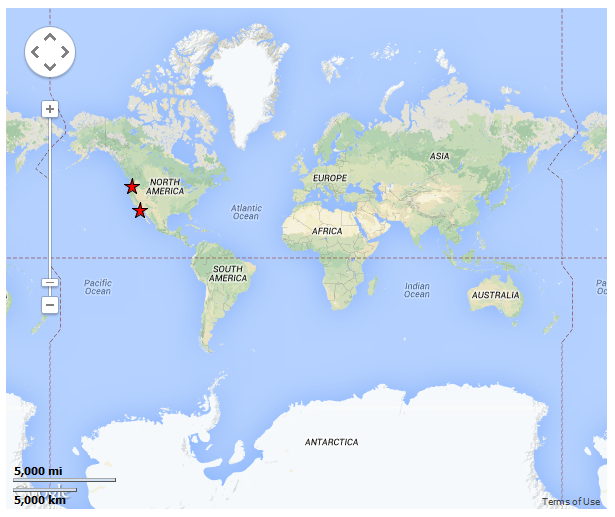 Select Google Maps in Select type of map source: dropdown and hit the Continue button. 3. Keep the defaults and enter your google key in the key text box. Here are my values. 4.Select the datasource which you had defined before. A screenshot of the configuration is shared below. We will talk about the newer spatial features of Oracle 12c in my next blog. good post but do you have any problem with the cache and the refresh of the maps when you add a city on your table? Actually I am using oracle 12.1.0.2.0 while installing I didn't check PDB but it is installed successfully. Now I am trying to create Map Viewer in 12C. I followed the Map Viewer 11g document. I can able to import all layers into the Administration Manage Map Data from the sample data like "mvdemo","world_sample". But the "Demo_Map","Customer_Map",Google_Map" is not loaded into the analytics. Later I search in google I got only your blog for Map Viewer Configuration 12c. When I trying this one I am getting error like "ORA-65090: Operation only allowed in a container database"
"So mandatory to create pdb while installation or can we configure pdb in 11g"
If we can configure in 11g, Please can you provide me a syntax? I need your input to solve this one. 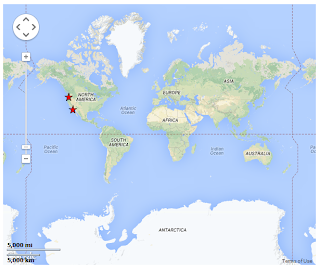 Is it necessary to configure MapViewer in order to display a Google Maps? My question then is: if I configure the MapViewer to use Gmaps as background map, then the native map visualization of OBIEE will work using Gmaps? And, where should I put the HTML code shown in this article? 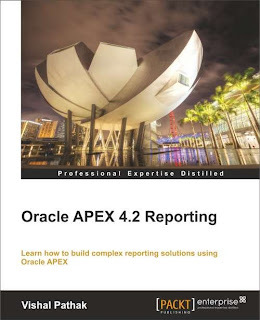 Read oracle documentation for details on the same. This post was amazing, I have been working on OBIEE since 4 Years and i haven't created any Map Viewer but i dont have any idea about it in your blog you have mentioned that for OBIEE "we will see the process to use map view some other time. Have you created any thing for that. Depends on what tool you are using. You can put the HTML code at any place where your tool allows you to put the code. Tools such as OBIEE have a map view feature and hence you will not have to put explicit HTML in it. You dont need HTML code for OBIEE. You will have to follow the steps till map builder though. 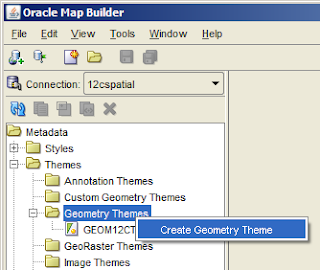 Go though oracle documentation to know the process to use map viewer in obiee.